Trouble between the Steelers and Antonio Brown has been "brewing for years," and a once-unthinkable split is now possible. Here's how they got here. Mike Pouncey, one of the best free-agent additions for general manager Tom Telesco, is paving the way for a much-improved Chargers running game. The Steelers learned Sunday that they didn't have to be at their best to win and that perhaps their defense is built better for January. The Steelers have won four in a row for a variety of reasons, including the all-around play of James Conner, the offensive line and an improving D.
Big Ben has never thrown for more than 280 yards at M&T Bank Stadium, but with a no-huddle offense and a booming "Wi-Fi" connection, that could change. The Browns aren't dwelling on it, but they had plenty of chances in their two losses and a tie to turn all three of those into victories. Le'Veon Bell plans to return for Week 8, but the Steelers' woes go beyond their missing back. Here's a blueprint for reaching the bye with three wins. He's without a win, an All-Pro back and two linemen. His top receiver is disgruntled, and his defense is leaky. Big Ben faces a steep early challenge. Bell is now off the depth chart, and the player-team relationship is, at best, icy. Here's what we know -- and don't -- as the stalemate continues. Le'Veon Bell stayed home another day, and teammates were livid. Where will this stalemate go? There's a lot to unpack from both sides' perspective. A step-by-step guide to the running back's return to the team after an eight-month absence. Ben Roethlisberger has trimmed down to alleviate joint pain, but he's also noticed another benefit. "My arm feels stronger than it ever has." Maurkice Pouncey usually knows everything about what goes on with the team, but not when it comes to Bell. "He's kind of kept to himself about it." The Steelers' backfield is missing the star power of Le'Veon Bell, but it's not lacking in fight, which might translate to something bigger in 2019. 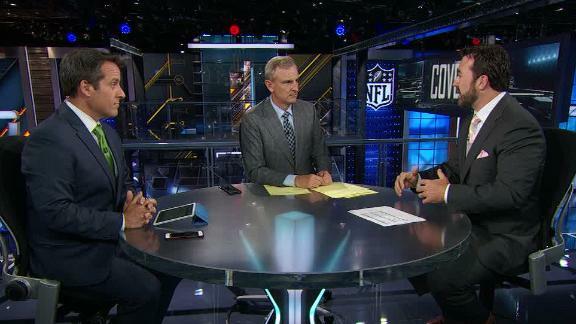 How will Pouncey's, Scandrick's returns affect their teams?